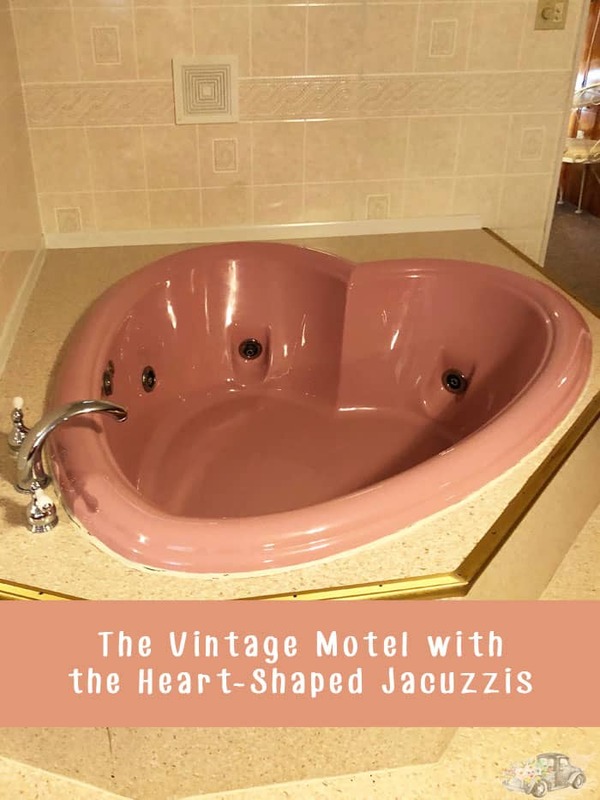 When I mention heart-shaped jacuzzis, many people will contour up images of the Poconos honeymoon resorts such as the abandoned Penn Hills Resort. 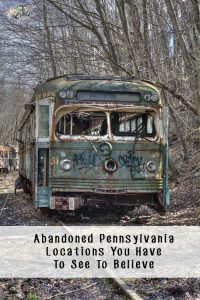 What if I told you some of these vintage gems are right here in Western Pennsylvania? 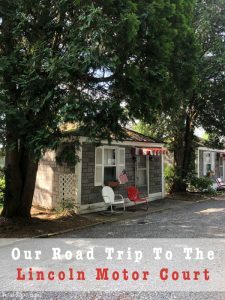 When the Lincoln Highway (modern Route 30) was “the” (and let’s face it — only) road to travel when heading from New York to California there were all sorts of diners, roadside oddities, and small motels dotting the road. Many of those establishments have been lost to new development but if you take your time and look carefully you will see not all has been forgotten. 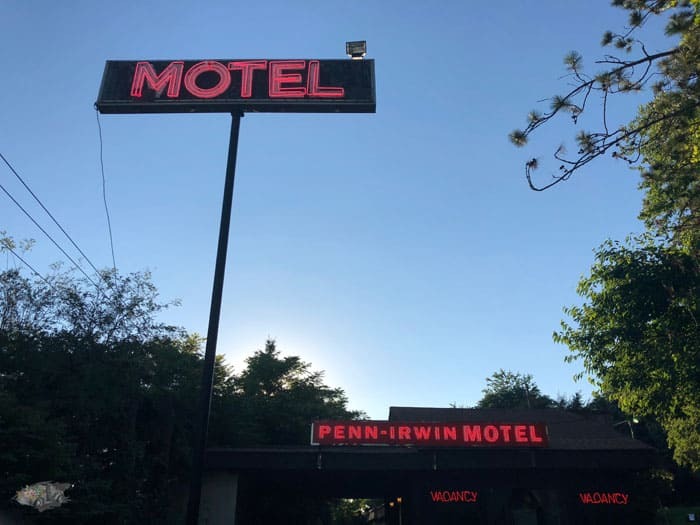 One summer evening, Ryan and I decided to stop at the Penn Irwin in order to take some pictures and talk to the owners about what makes this motel special. 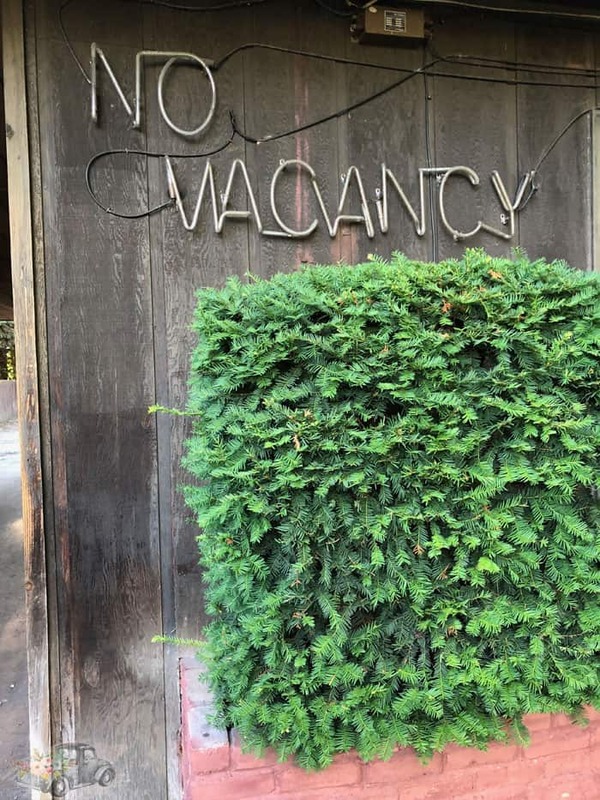 I know that motels such as this one are dwindling quickly, and before we know it, they will be gone. This is why I want to document as much of their history as possible. 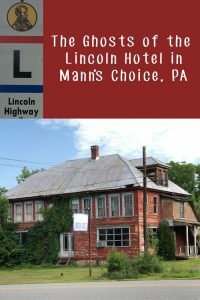 The Lincoln Highway, Route 30, in Irwin used to be full of these little motels because of their location to the highway as well as the proximity to Pittsburgh. Slowly, they have been disappearing as the property that they sit on is worth way more to developers than nostalgia. 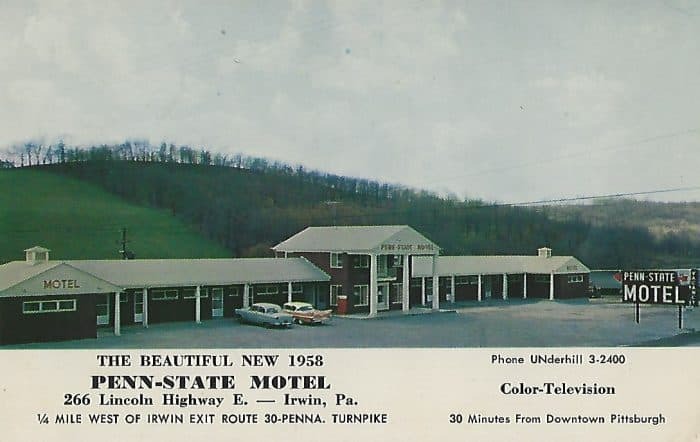 Built in 1946, located just a half a mile from the Pennsylvania Turnpike and right along the westbound lanes of Route 30, the Penn Irwin Motel is one of the last remaining independent motels. 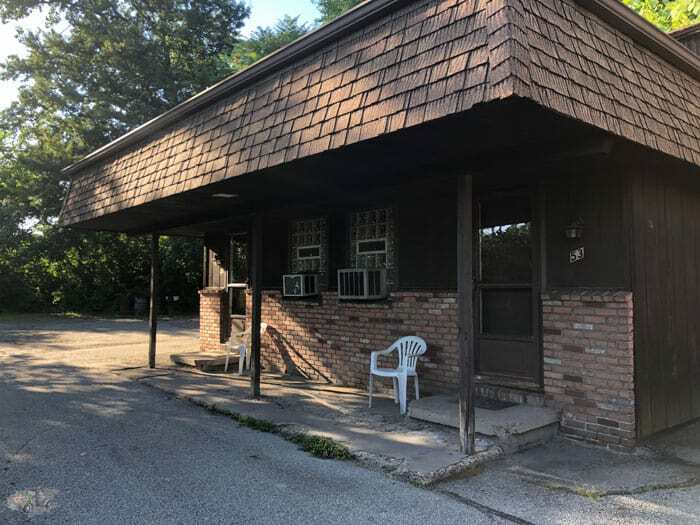 Tucked on a hillside in North Huntingdon, you might miss the motel if you weren’t careful. 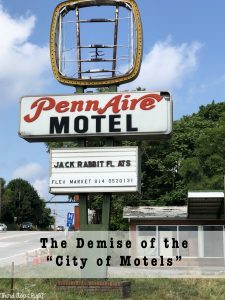 Did I also mention that it is the longest continuously operating, privately owned motel on U.S. Route 30 in Irwin, PA? 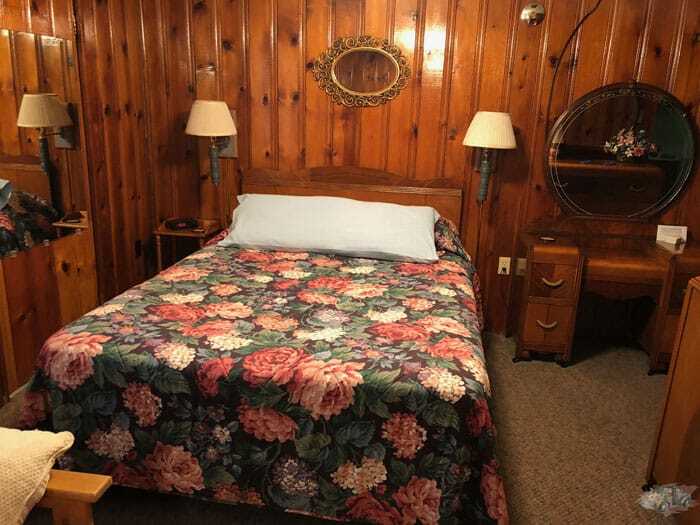 With knotty pine walls and vintage decor, if this motel was in California it would absolutely be considered a boutique hotel. Each room is uniquely decorated using vintage furniture and decorations, giving it a homey feel. The Penn Irwin is very much a mom and pop shop. It is run by a husband and wife who do pretty much everything from running the front desk to cleaning the rooms, and even maintenance. The neon MOTEL sign is visible just over the treetops on the Route 30 westbound lanes. It is one of the last relics from an era where the spot Target now sits on was once the home to the Super 30 Drive In and the Penn State Motel occupied the space across the street where Burger King now is. To the keen observer, you might notice that something looks odd when it comes to the room numbers. The Penn Irwin’s room numbers start in the 40s. So where is number 1? 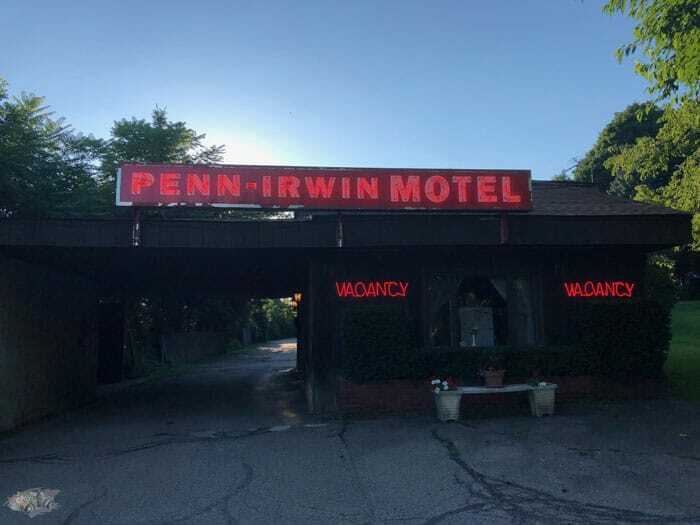 Well, it turns out that originally two of the motels across Route 30 had the same owner as the Penn Irwin so room number 1 was actually across the street. 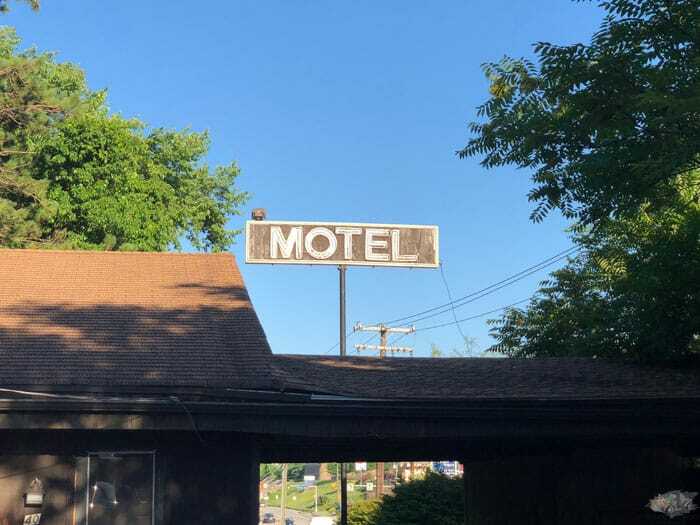 It was said that the owner would run back and forth across Route 30 in order to tend to the front desk at both motels. In order to keep track of the rooms, the owner kept the numbers going across the properties. Now, the 16 rooms that make up the Penn Irwin are the only ones left. 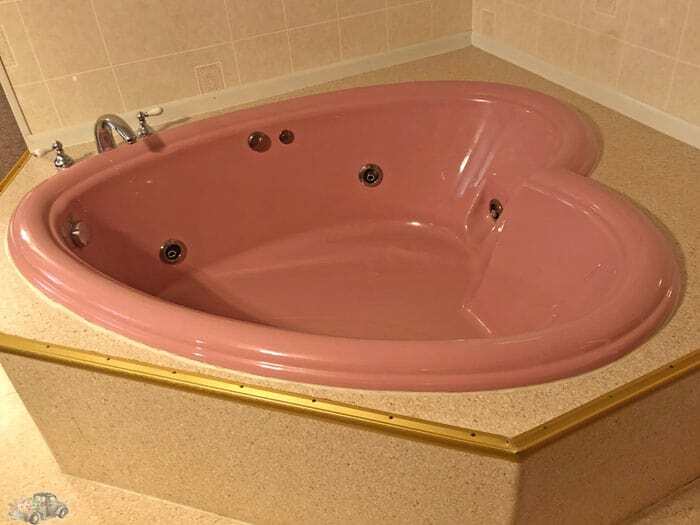 Ok, so about those heart-shaped Jacuzzis. These sorts of Jacuzzis were more common in the 1970s and were made popular by the honeymoon resorts of the Poconos and Catskills. As I said before, tubs such as this one could be found at the former Penn Hills Resort — except in cherry red — and with mirrors on the ceiling. And circular beds. Need I say more? There is actually only one room with one of these tubs at the Penn Irwin, which is in a suite made from two rooms, but it is still a very cool find. I’m not sure if many of these still exist. 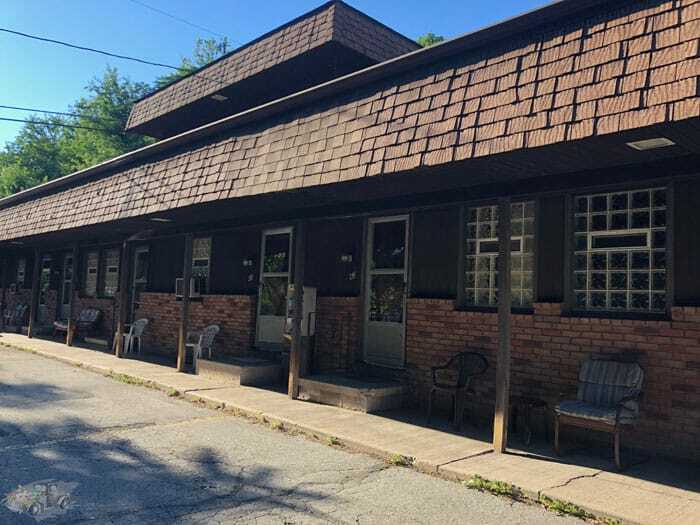 This motel sits right off of Route 30 on what could be prime property. 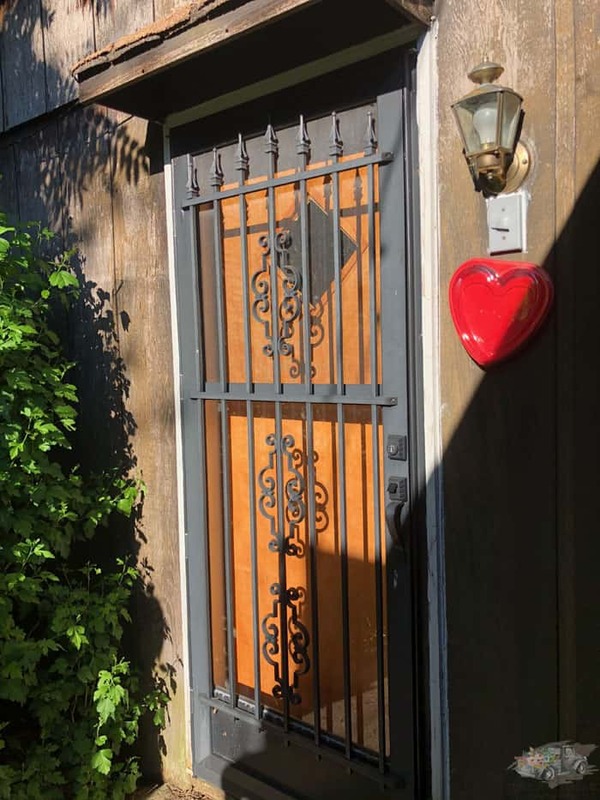 Although the owner says that he and his wife are content with the hotel, if the right buyer came along with the right offer he would sell the property in a minute. That is, if the right offer came along. He is also aware that when he eventually does sell the property that will most likely be the end of the motel. The property has been the talk of redevelopment before so I’m afraid is just a matter of time. As we were headed back to our car after visiting the motel and the owners, it was just starting to get dark. “Do you want to get a shot with the neon on?” the owners asked me. Of course we said yes, because that neon is part of the motels charm. I snapped a few pictures just so I would be sure to have captured all of the essence of the Penn Irwin Motel. 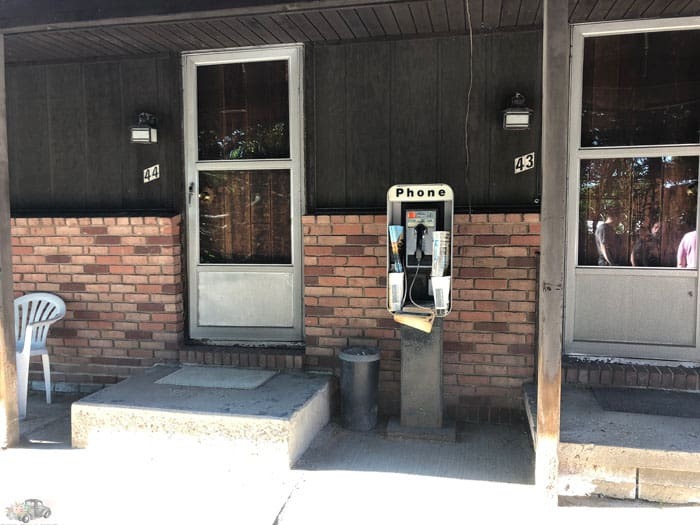 The Penn Irwin Motel is for sure one of the last of its kind. In an era of cookie-cutter hotels, take a step back in time and see what a vintage motel has to offer. After all, you never know what you had until it’s gone.